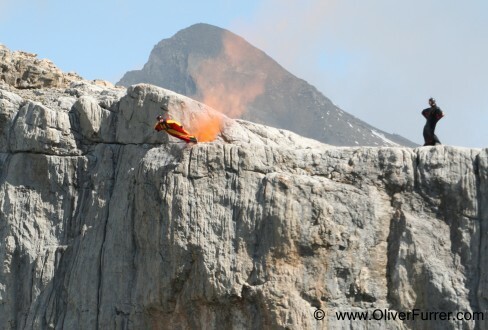 news 10.08.10: On Thursday morning the three BASE jumpers, Alex, Markus and Oliver went up from Col du Pillon to the Scex Rouge and walked over the glacier to the Quille du Diable. After the jumpers got ready to jump from the high cliff, the Pilatus Porter plane with several photographers on board flow by and took great images. 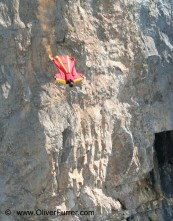 The jumpers enjoyed a long proximity flight down the valley. They showed their flight paths’ by means of smoke cans to the fascinated spectators on the ground.